How was your weekend? Hope you had a great relaxing weekend. Mine was busy as ever. Last weekend before school closes. I cannot wait for the winter break and have a relaxing holiday. Monday is mad also as ever until afternoon. I generally craft in the afternoon on Mondays. This afternoon I wanted to colour. 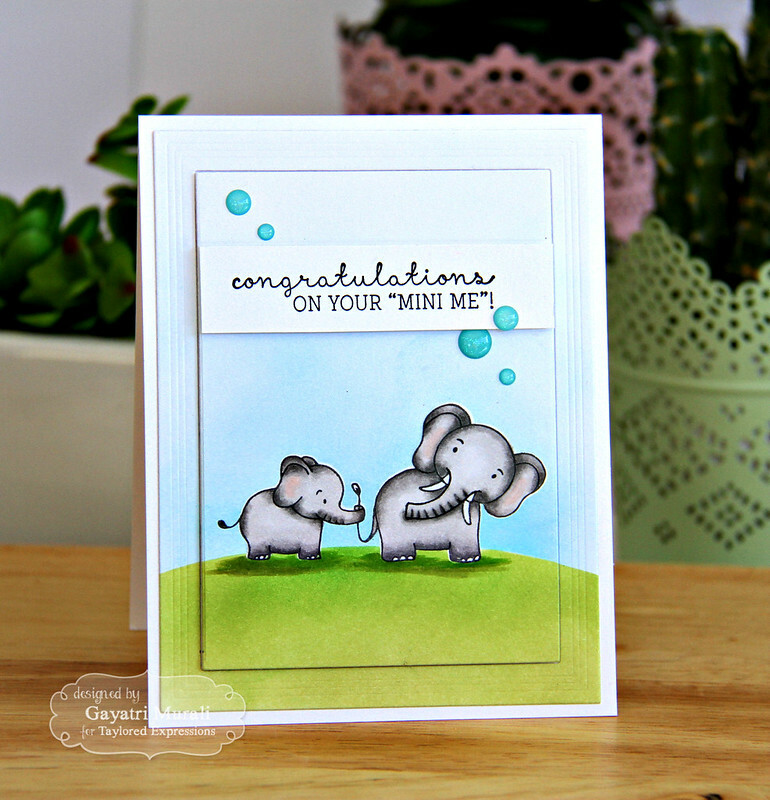 I coloured couple of cute elephants to make a baby card. 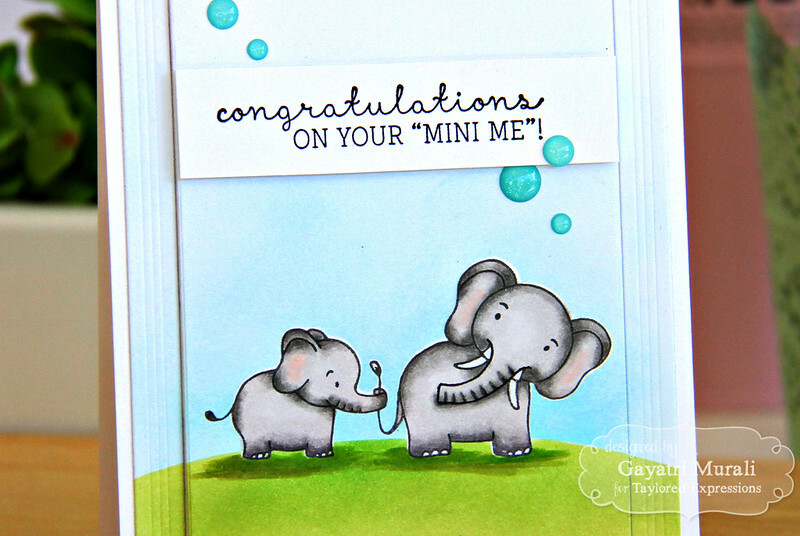 The elephants are from Mama and Me stamp set from Taylored Expressions. This is such a cute set with some really good sentiments. I stamped and copic coloured the elephants. I sponged the sky and grass using Tumbled Glass and Mowed Lawn distress ink after masking the elephants. I then removed the mask. To add some dimension, I die cut the panel using the frame die from Frame in Frame Cutting Plate from Taylored Expression. This gave me a frame as well as the inner panel. I adhered the frame to the card base using liquid glue and the panel using foam adhesives. You can see the dimension on the closeup photo below. The sentiment is also from the same stamp set which I stamped on a white strip of cardstock and adhered using foam adhesive. 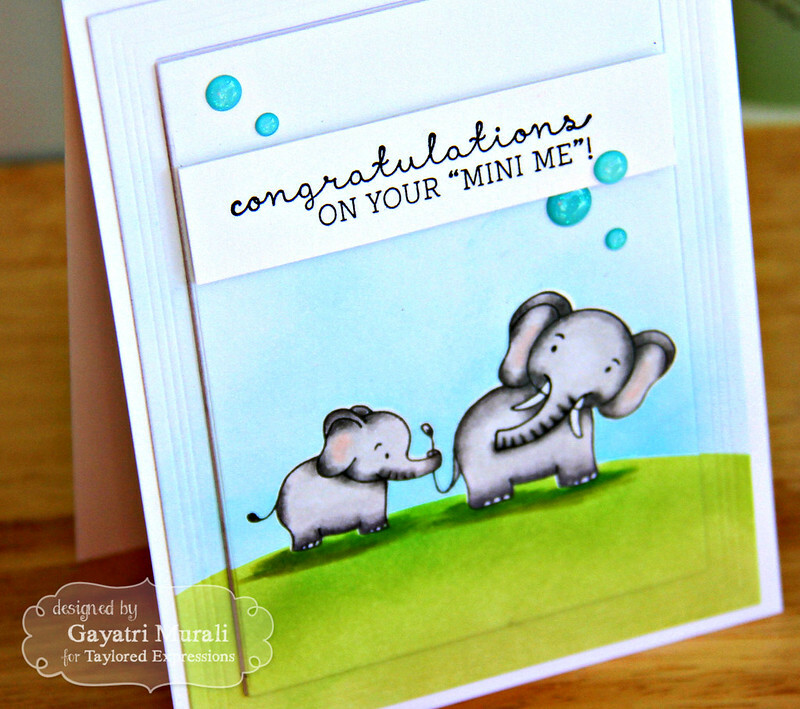 Doodlebug’s Sprinkles brings the card together. I also used copic markers to ground the elephants.